Price:Free, xlobby costs absolutely nothing...zero, zip, zilch, nada, get the picture? I work on xlobby as a hobby and I have no intentions whatsoever of charging money for it. Skinning:Everyone wants to customize their interface to best suit their needs, and xlobby allows for this with an easy to use drag and drop skin editor. Not only will you be able to customize your skin, but you can also download and install other skins to find something that best suits your taste and needs. Music:Built into xlobby is a rather sophisticated audio management system. It will scan your entire audio collection and create a database based off this information. And if your missing some cover art for your album it has a built in cover art downloader. 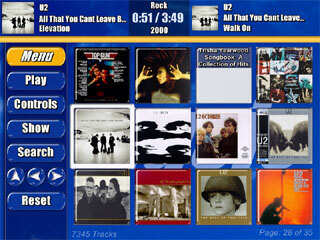 Music is played back using winamp, and doing so allows you to configure it with any of the many freely available plugins. Movies:Another built in management system for movies is included with xlobby. Not only will it scan and load your movies, but it can also download cover art, movie information, and even stills. 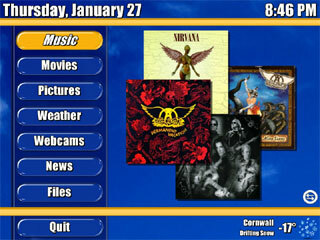 Movies are usually played back using theater tek, or zoomplayer but any other player can be used if properly configured. Category Functionality:Why stop at music and movies, also included is xlobby is the idea of a category/database system for anything you can imagine. You can create your very own screen for games, trailers, music videos, recipes, and anything else you can imagine. It's just so flexible people have used it in ways I never even imagined.